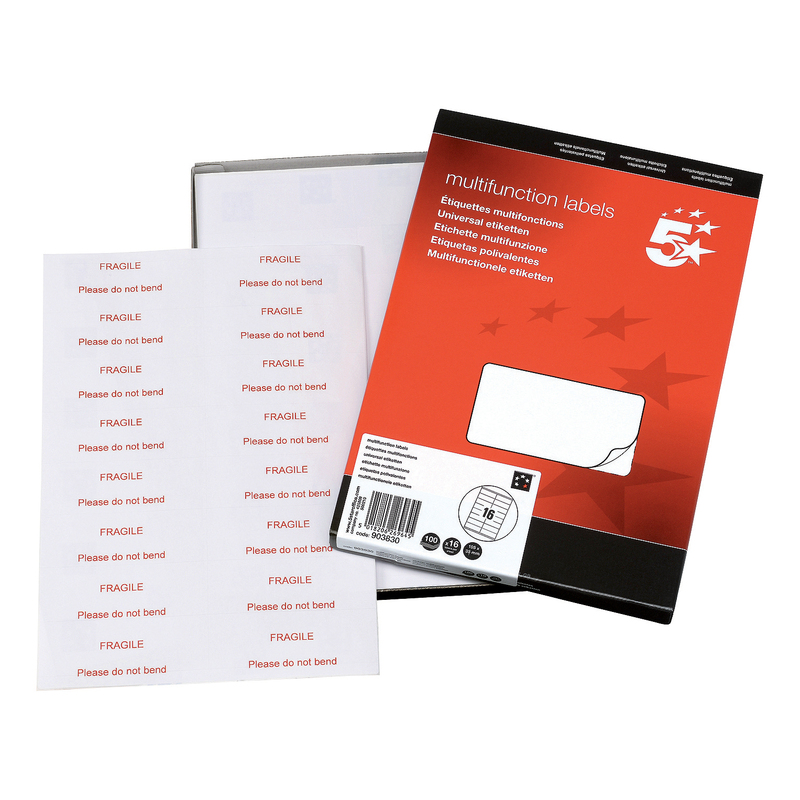 With our comprehensive range of office stationery, 5 Star™ has always been your watch word for ‘office essentials’. All of our traditional stationery fall under the 5 Star™ Office brand. Making it easy to find those everyday products every time! 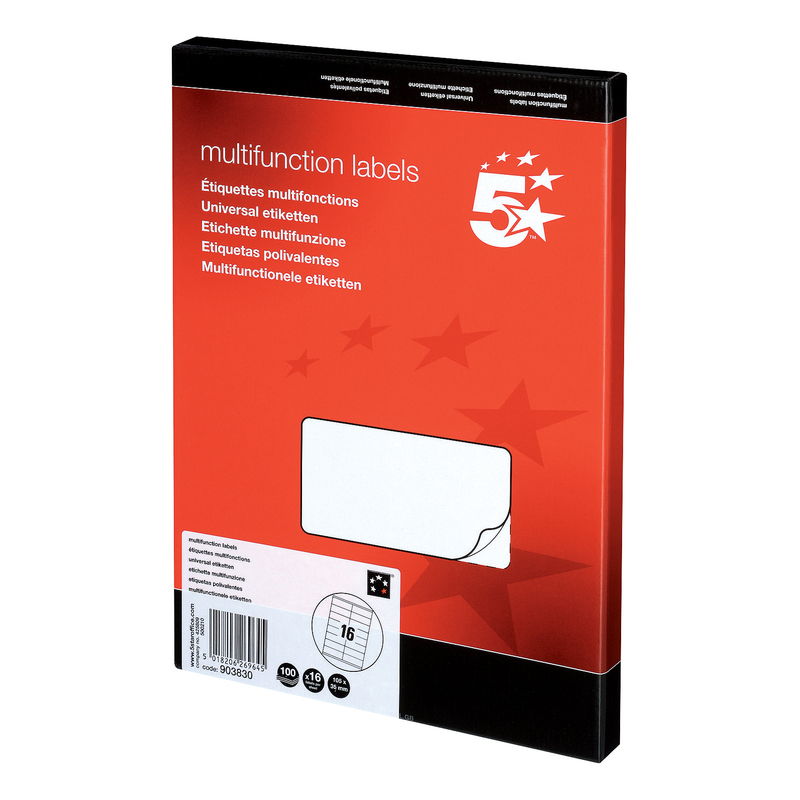 These labels are specifically designed for sheet-fed printers and are compatible with all laser, copier and Black & White Inkjet printers. They are made up of a low chlorine face and backing paper, with a water-based adhesive. Its solvent-free acrylic complies with European food directives and legislations.